Abraham Peterson has some slightly confusing marks recorded to him. His first recorded mark is in partnership with Peter Podio and is dated 1st May 1783. He then has some additional marks recorded to him alone in 1790 and 1792, as a plate-worker. 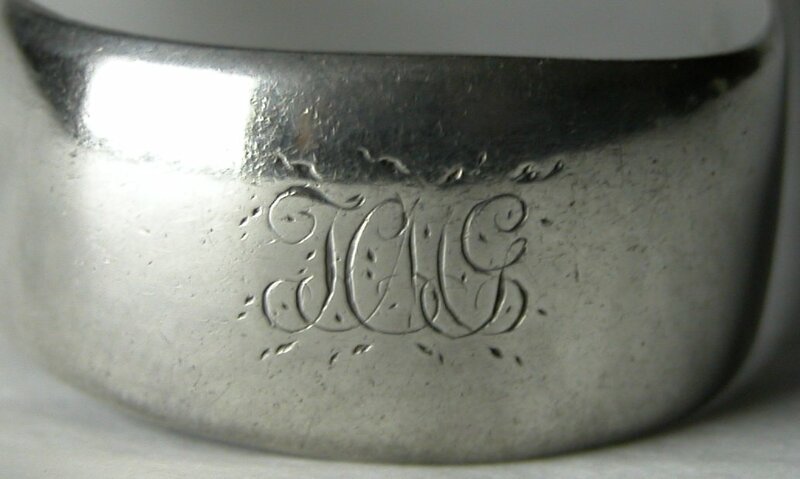 This pair of silver sugar tongs is very interesting in that they have been over-struck. The previous maker is difficult to distinguish but could be Eley & Fearn. The tongs are dated 1801. 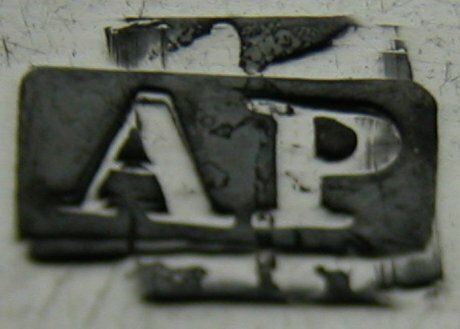 It is not certain that the tongs are by Abraham Peterson, especially as he was a plate-worker, however there were no other silversmiths with the initials “AP” in operation at the time.